Cooking class is one of my highlights of the month for obvious reasons. First off, I don’t have to prepare anything. Second, I get to chat, socialize and take pictures and eat. No grocery shopping, prepping food or clean up. 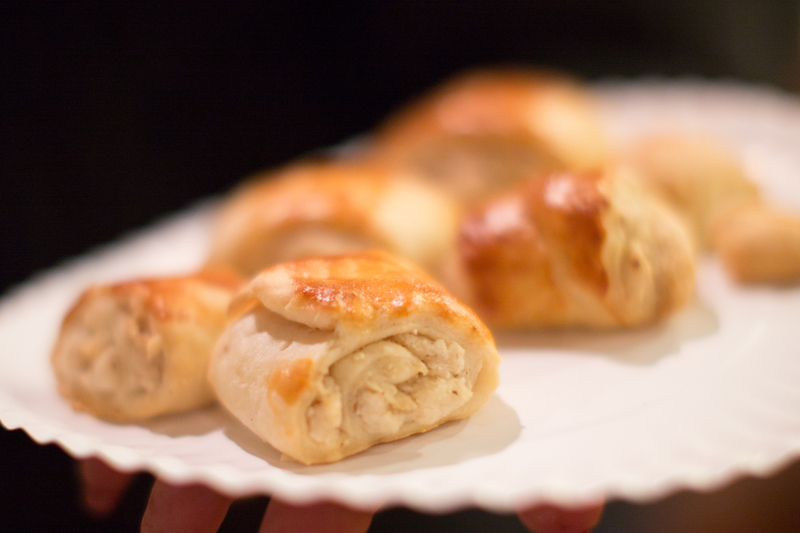 (Well I do try to help clean up…..) This is a yummy Armenian pastry recipe that is unique and will make your taste buds dance and sing. 😉 Enjoy! 1- Grate 1/4 of a nutmeg. 1- Combine the yogurt, yeast, baking powder, 2/3 cup vegetable oil and 1 cup of sugar in a large bowl. 2- Beat one egg until stiff and add to the bowl, stir well. 3- Add 4 1/2 cups of all-purpose flour to the bowl gradually, combine well. 4- Knead the batter for few minutes. 5- In a small pot, combine 1/4 cup of vegetable oil with 2 & 1/2 tbsp of unsalted butter. Heat the pot and stir until well mixed. 6- Add 1 cup of powdered sugar to the butter pot. 7- Add the cardamom powder, nutmeg powder, cinnamon, half cup of all purpose flour and the ground walnuts to the pot, and mix thoroughly. 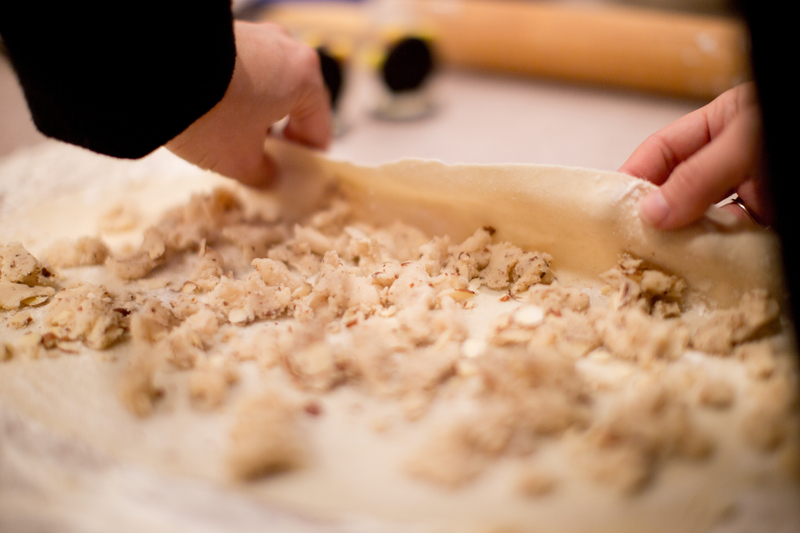 8- On a well floured working surface, roll out and halve the batter. 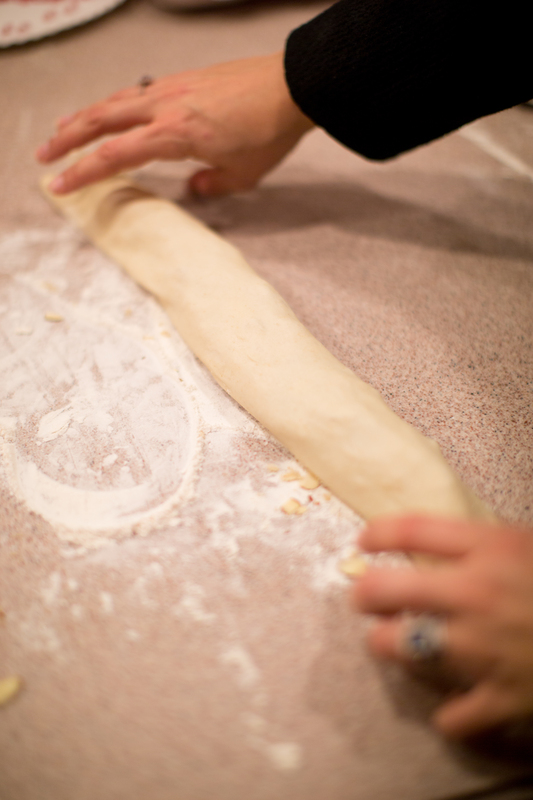 9- Using a rolling pin, roll the batter into a square. 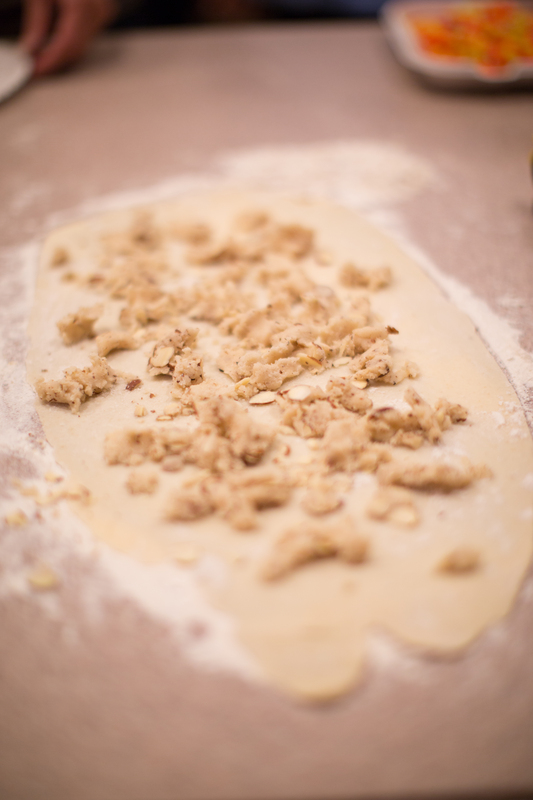 10- Spread half of the butter/walnut mixture across the batter evenly. 11- Roll the batter into a oval cylinder. 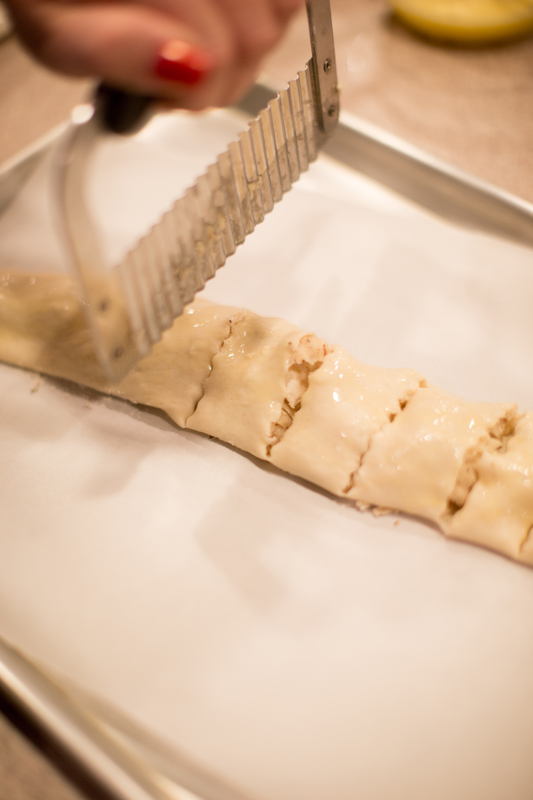 12- Cut the batter vertically (2-3 inches). 13- Place the batters on a well floured nonstick bakeware. 14- Beat one egg and brush the surface of each batter. 15- Preheat the oven to 350º f (176º c). 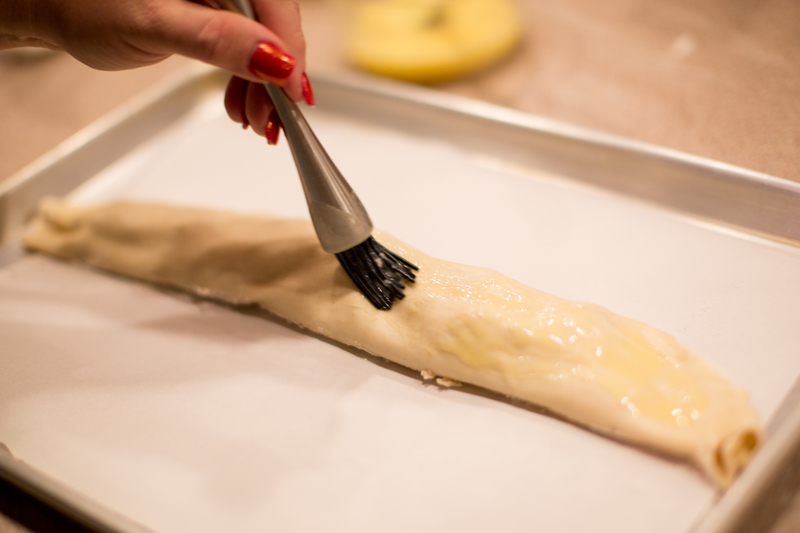 16- Place the batters in the oven and bake for 35 minutes or until golden.